All WILDHORSE VISTA homes currently listed for sale in San Antonio as of 04/26/2019 are shown below. You can change the search criteria at any time by pressing the 'Change Search' button below. 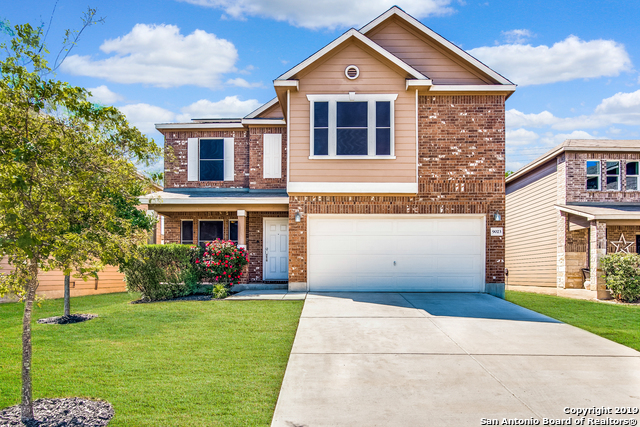 "Desirable WildHorse Vistas offers easy access to 1604, Government Canyon Park, & WalMart Neighborhood Store. Clean, well-kept home with open floor plan is beautifully upgraded--office w/ french doors, granite, cabinetry to the ceiling, stainless appliances, & tiled backsplash. Master and large loft up! Smooth large island is perfect for baking! Energy efficient solar screens & solar panels keep the home cool in the hot Texas sun, bringing utility bills down!"